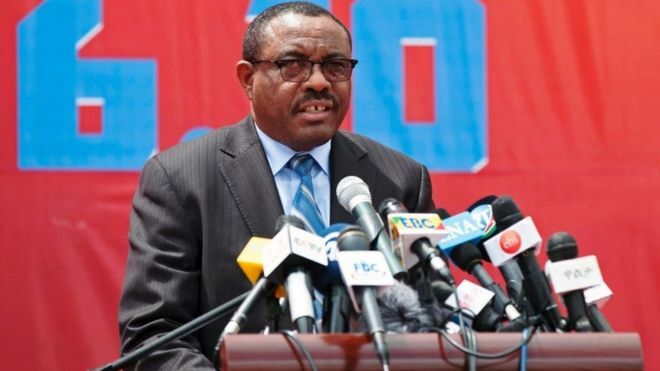 Ethiopia PM Hailemariam Desalegn resigns – Royal Times of Nigeria. The Prime Minister of Ethiopia, Hailemariam Desalegn, has resigned amid deadly anti-government protests, state TV reports. In a televised address, he said his resignation was vital in the bid to carry out reforms that would lead to sustainable peace and democracy. His departure follows a national state of emergency that ended last year. Ethiopia’s largest regions, Oromia and Amhara, have seen waves of demonstrations in recent months. In the latest violence, 10 people were killed and dozens more injured following an opposition protest.